Treks 2 Rwanda (in collaboration with Access 2 Tanzania) recommends that you purchase a travel protection plan to help protect you and your trip investment. For more information on the available plans or to enroll, click on the link below or contact Travelex Insurance Services at 800-228-9792 and reference location number 23-0071. 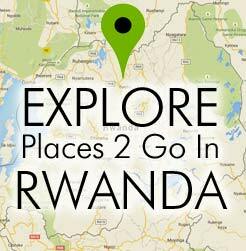 Treks 2 Rwanda enrolls all of its clients in the AMREF Flying Doctor’s program at no extra charge! All booked clients of Treks 2 Rwanda will automatically be enrolled for AMREF Flying Doctor’s insurance for zone two (mainland Rwanda, Uganda and Burundi). This enrollment does not replace traditional travel insurance but augments your coverage for emergency transport from your safari to Nairobi for onward medical evacuation.